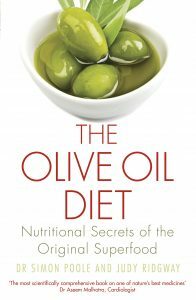 My new book The Olive Oil Diet was published by Robinson Books on 15th September 20116 and I have been looking back on the three year lead up to its publication. I first met my co-author for The Olive Oil Diet, Simon Poole, way back in 2013 and immediately discovered that we had a strong mutual interest in olive oil. 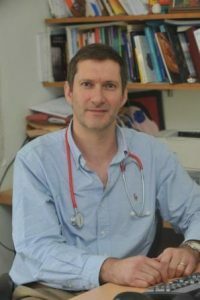 My background is in quality, taste and flavour in olive oil and Simon is a full time GP who has also built up a vast body of knowledge of the nutrition and health benefits of olive oil. We were soon comparing notes and found that Simon’s detailed knowledge dovetailed with my own to answer questions that had been occupying us both in recent years. Why is olive oil increasingly seen as a really healthy food? How does olive oil work in the body to protect against chronic diseases such as coronary heart disease and stroke? How can you find the healthiest olive oils? How much olive oil should we be consuming each day and what is the best way to include olive oil in everyday eating? For some time, Simon had been monitoring the extensive, worldwide research which has established beyond doubt the health benefits of olive oil in the Mediterranean diet and highlighted the many benefits that flow specifically from the regular use of olive oil. Some of this research is reported in mainstream media, but much more frequently studies are published in journals of medicine, food chemistry or agriculture. This information is available easily to only a few yet the sum total of this research has changed the thinking about olive oil in a major way. Simon believed that this information should have a wider audience. My work with olive growers and olive oil producers, looking at the factors which lead to the production of top quality olive oil was beginning to point to strong connections with the chemistry of the olive oil. The processes of cultivation, harvesting, production and storage of oil all influence the quality of the oil and we now know that they also influence its capacity to have the multiple beneficial effects on our wellbeing. 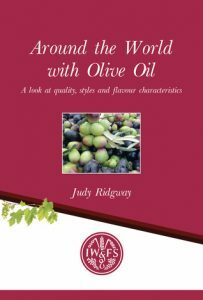 It was also becoming evident that many of the substances which are responsible for the wonderful range of taste and flavour in olive oil, in which Judy is an expert, were the very same chemicals which give olive oil its wide ranging health benefits. In addition, questions that I was receiving from readers and olive oil class participants were focusing much more on the nutrition of olive oil than they had in the past. Health was becoming as important as the culinary aspects of olive oil. At the same time, Simon was discovering not only that olive oil is beneficial in its own right, but that the combination of olive oil with other ingredients to create good food also determines how people can optimize their health. Hours of discussions and of sharing a passion for olive oil, good food and health resulted in the creation of the Olive Oil Diet. We both felt that there was a real need for a book which makes sense of the science and gives practical advice on incorporating olive oil into every day eating with practical hints and tips and recipes. The Olive Oil Diet does just this. It is designed to take the fear out of using significant amounts of olive oil in the diet. It also makes it easy to produce food which is broad ranging and enjoyable, and healthy at the same time. We started writing the book in the summer of 2014 and worked in tandem on each of the four sections checking data, simplifying the science and bouncing ideas off each other. A year later and the book was complete. The last year has been taken up with the process of finding a publisher and then working with the editors and designers to create the book itself and now, at last, publication. For a full list of all my books please see my Amazon author page.